Imagine a land of forgotten tributaries, hidden history and resurgent nature, where a fox might be spied far from any hen-coop, or a pair of coots build their nest with cast-offs from the human world. Yes, that’s right: London, which Peter Aylmer has been exploring for his Cicerone guide Walking in London. Londoners do themselves a disservice when they talk of ‘the’ river. The Thames may be the water that defines London, indeed without which London would not have come into existence: but the Thames doesn’t get to be this broad without other rivers feeding in to it. By summoning up the spirits of the Lea, Brent and Wandle, you have a different London, one that re-imagines the city. 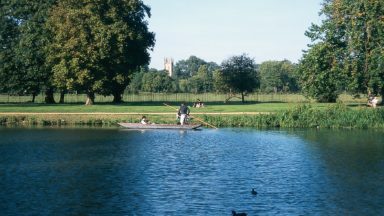 Crucially, for a walker, these three rivers have their own walking routes which prove something of an antidote to the heritage-fest of the Thames Path. They also nicely segment the city, in the east, north-west and south, a fact which provides the structure for my book. 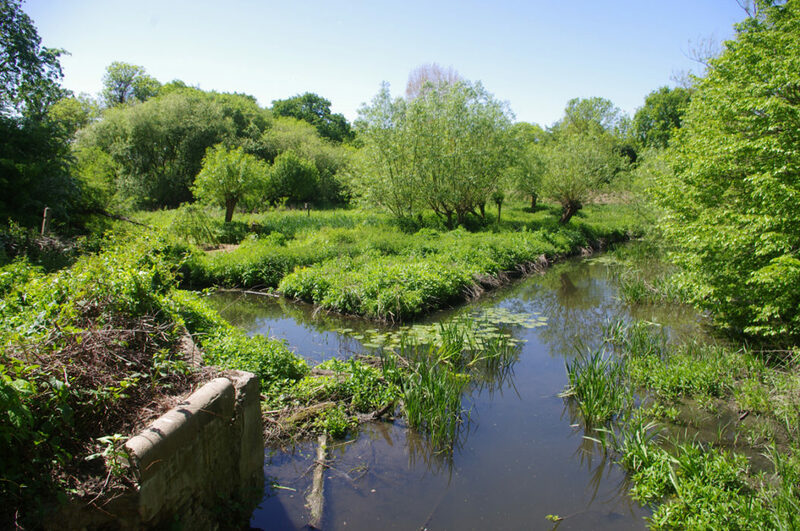 The Lea is perhaps the best-known of the Thames’ tributaries, flowing 85km (53 miles) from its source in the Chilterns to inner-city Blackwall – indeed, the Lea Valley Walk has its own Cicerone guide. But downstream of Hertford, the trail sticks to the 18th-century Lee (sic) Navigation, rather than hopping back and forth for contrast between this and the informal trails alongside the old river. This is nowhere more a shame than south of Tottenham. Here, the walker who’s prepared to explore a little can first wander through the new Walthamstow Wetlands nature reserve, cross the Walthamstow marshes – look out for Belted Galloway cattle – and then sample nature’s recovery in the former industrial site of the Middlesex filter beds. From the beds, join the willow-fringed course of the old Lea, the Eurostar train depot on the other side, and take a beeline across the Hackney Marshes – no cattle, only footballers – to the Wick Woodland, created in compensation for the A12 road extension. It’s only a short step now to the Queen Elizabeth Olympic Park, coming into its own after the excitement of the 2012 Games. Its Waterglades are both typically urban and typically rural, using the native flora of this one-time Essex river bank (the county border ran here til 1965) to calm and corral the river into a water-source for the modern flats above. Close by the London Stadium, there is something very different: formal gardens that showcase plants from across the world, highly appropriate for a venue that once played host to the planet’s greatest sporting talent (do check the West Ham United fixture list before a visit to the Olympic Park – it does get busy!). The Lea has one more surprise, at its tidal limit barely a mile south. 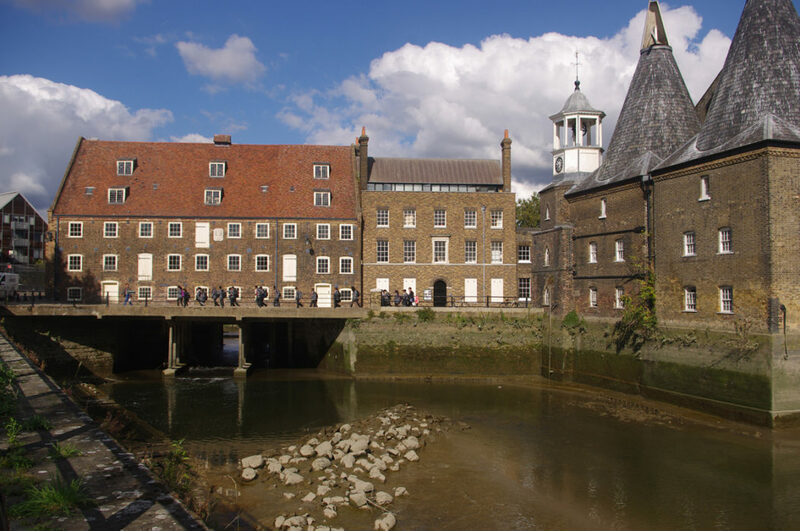 Here is the site known as Three Mills, which hosts nothing less than the largest tide mill on earth. There’s a Tesco across the bridge, and the Blackwall Tunnel approach road the other side of that. But on the green looking over to the mills, you’re almost on another planet. If the walker can pack in so much in just 11km (7 miles) along one of the capital’s ‘other’ rivers, what else might be possible? On its way through north-west London some fairly bad things happen to the River Brent. Two big rail junctions, close encounters with the North Circular and the M1, Brent Cross shopping centre and industrial estates make any attempt to walk its middle section well-nigh impossible. But north of Golders Green, there’s a riverside walk which runs almost uninterrupted to the Brent’s source on London’s countryside fringe. Strictly we are following the Dollis Brook, which combines with the Mutton Brook to make the Brent. 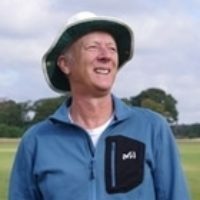 Indeed, the 21km (13 mile) Dollis Valley Greenwalk – after an initial pad through that apogee of 20th-century town planning, Hampstead Garden Suburb – has a short stretch beside the latter before coming to the confluence. 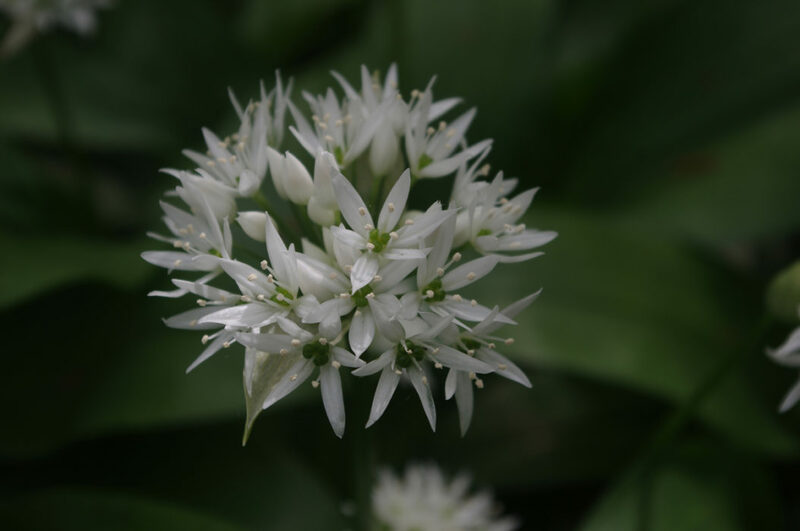 It won’t be long – if you time your walk for the right bit of spring – before you’re walking beside long stretches of star-shaped wild garlic. It won’t be the bright white flowers that will strike you first, however, but the unmistakable culinary odour. It’s tempting to forage, as flowers, leaves and bulbs are all edible, but don’t – if everyone started doing it, the banks would soon be stripped. Formal open spaces alternate with wilder stretches all along the Greenway. Beyond Whetstone the fields are managed as hay meadow, and the brook has some charming little meanders that are well worth exploring. The direction veers from north to west as you skirt the edge of Barnet, then south-west to enter the rough pasture of Totteridge Fields. Marsh plants like bog stitchwort, and others, like meadowsweet, that prefer damp places, flourish here (don’t try this walk on any 28th of February, however – one crucial permissive path is closed on this date every year). 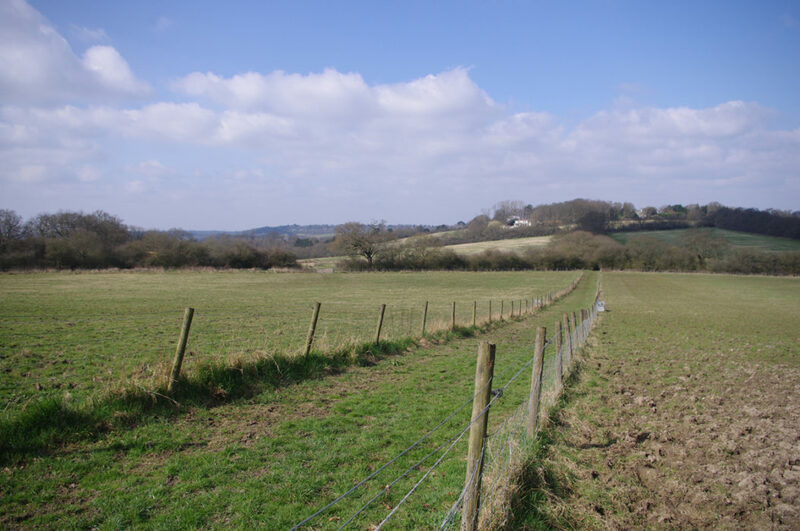 The last stretch heads uphill, past the source of Dollis Brook and hence the Brent, to Moat Mount, with pleasant rural views northwards. But there’s no road here, so from the summit track downhill beside another Brent tributary, the Silk Stream, to a picnic area beside the A1. It’s an incongruous place to finish, but in a few minutes the 292 bus will take you to Edgware tube – you’ll be back in Golders Green in no time. Imagine 68 water wheels over 16km (10 miles) of river: this may sound like the downstream rush of some Alpine torrent, but think again, for this was once the River Wandle in south London. And with those wheels came noxious industries, from tobacco to tanning. Small wonder that from the Industrial Revolution and into living memory the Wandle was essentially an open sewer, dead to nature. Partly through deliberate clean-up, and partly due to the decline of industrial London, the situation now is very different, as you can find from a stroll along the Wandle Trail. 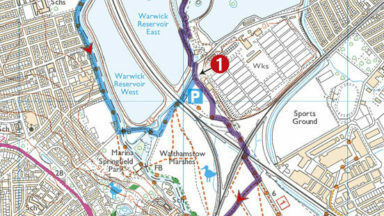 You get a better sense of the river’s strength by following it from the Thames towards the source, so start on the Thames Path in Wandsworth. 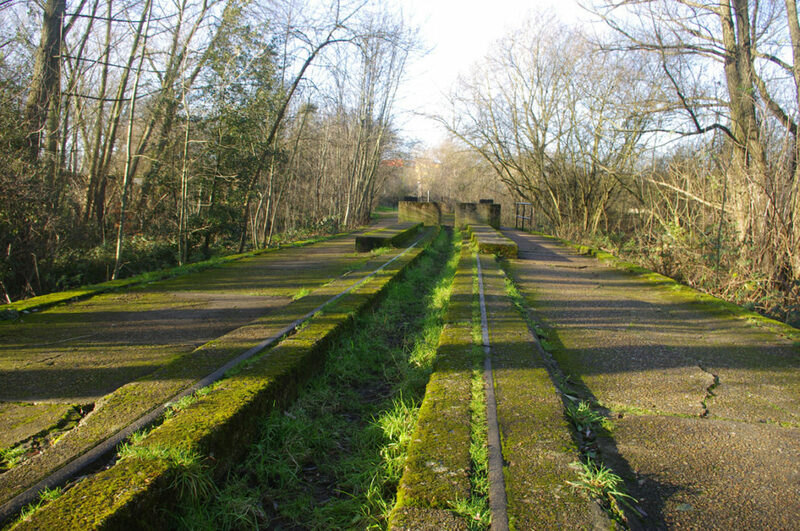 After Earlsfield station you start to glimpse the river as it was in its industrial heyday, as it’s hemmed between noisy industry either side – but the river bubbles keenly below you, on a quiet path fringed by pollarded willows. Just past the site of the former William Morris workshops at Collier’s Wood there’s a massive reminder of the river’s power in the form of the preserved water wheel at Merton Abbey Mills – which once powered silk printing works for the west end store Liberty. 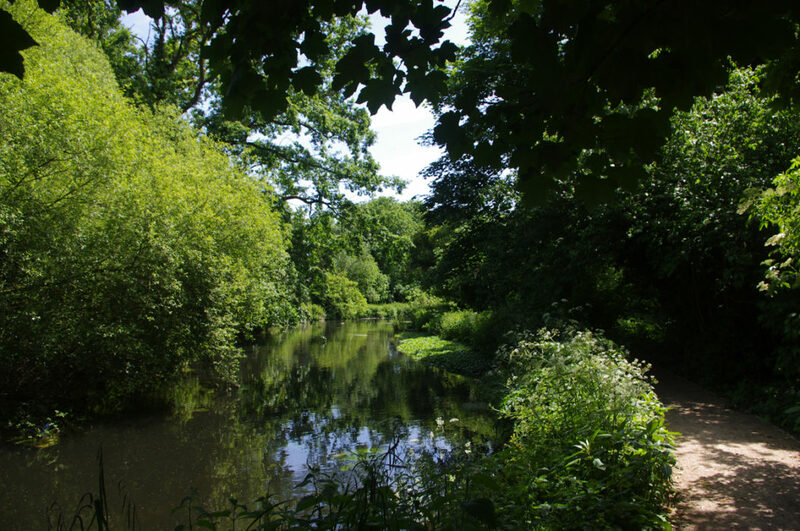 The central highlight of the Wandle Trail is undoubtedly the National Trust’s Morden Hall Park. 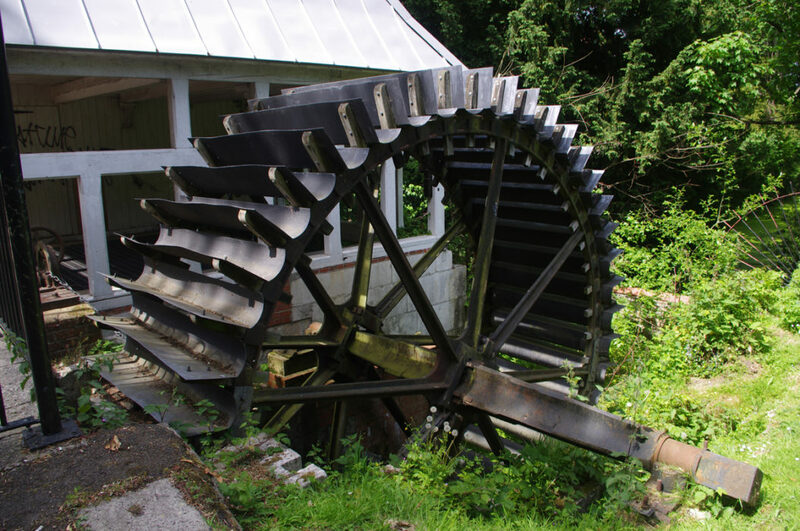 The river can seem tranquil as it flows through wetlands and meadows, and children splash about in side-streams, but take one look at the Snuff Mill, where the river charges through another preserved wheel. Next comes the Watermeads nature reserve, more NT land. 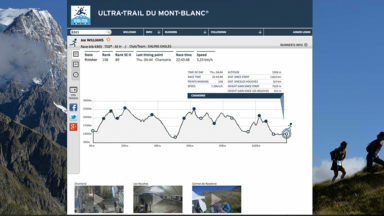 There’s only been public access here since 2015, and mill races are evident again. The stretch from here is one of several excellent places to spot kingfishers: this emblematic fish-predator is something of an indicator species for the river’s clean-up, for it can’t hunt in murky water. Even better for kingfisher-spotting is Wilderness Island, at the joining of the Croydon and Carshalton arms of the river. It’s a magical place, where you inch over fallen logs into little clearings beneath oak trees and stumble on little ponds and reed beds. Faced with the choice of following either the Croydon or Carshalton arms, the Wandle Trail has very sensibly decided to do both. First, it takes the latter to its source at the Carshalton Ponds – a pretty little townscape, as long as the ponds are not being lowered to keep water in the river during drought – and then follows some interesting backstreets over to the Croydon arm in the open spaces of Beddington Park. How much further you go depends on how much you love very urban walking, as the river starts to peter out. You can divert to Waddon station at Waddon Ponds, or brave a dusty street to the river’s last hurrah, Waddon Park, where there is a tram stop. Completists can continue to East Croydon station, but they’ll not see an inch of river: it’s in a pipe somewhere below. 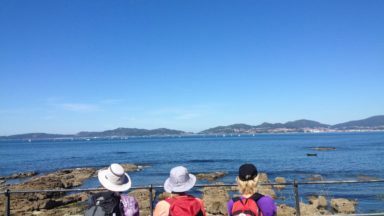 A sad end to a varied walk with quiet reflective passages and the genuine urgency of the urban. The Lea, Brent and Wandle might be the three most significant Thames tributaries but they’re hardly alone. In its 240km (150 miles), that clever outer-London long-distance path, the London Loop, shadows pretty water meadows on the Cray near Bexley, much of the Colne around Uxbridge, almost all of the Hogsmill, from Ewell to Kingston, and a good bit of the Ingrebourne east of Romford too. 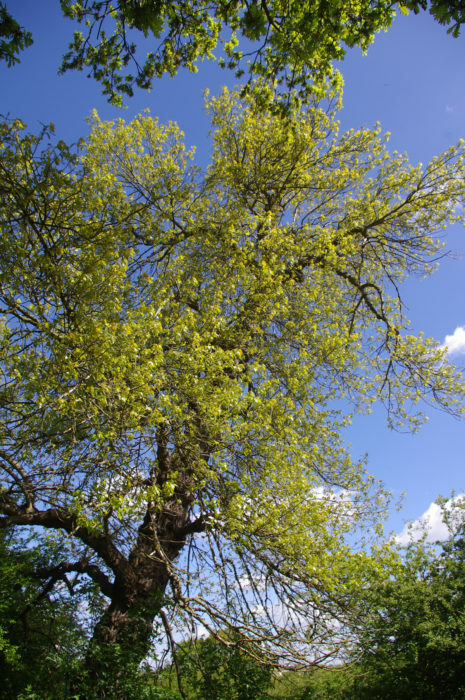 And yes, Romford does mean ‘ford on the Rom’: who would know, in unremarkable Dagenham, that six of only 600 female black poplars in Britain border on it? Out west another stream with a dedicated path is the Beverley Brook, a good way to get to know Wimbledon and Putney commons and Richmond Park in between. 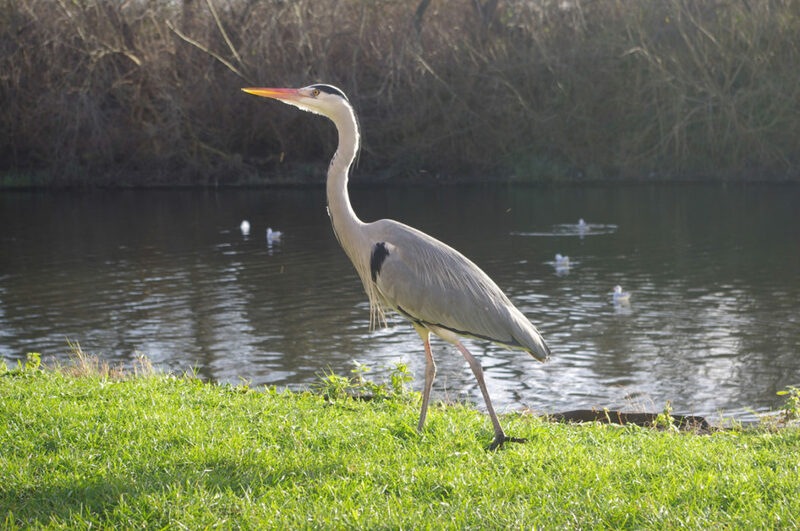 The River Crane forms Heathrow Airport’s eastern boundary; but near Twickenham a delightful country park sits where there were once gunpowder mills, and further north, as Yeading Brook, the Crane hosts an almost unbroken chain of nature reserves. Search out east London’s Roding as well, for the section where, in Wanstead Park, it flows by a relic of a water-park that once rivalled Versailles. And that’s not to mention London’s canals – the Regent’s Canal, from Limehouse to Paddington, and the Grand Union Canal striking out from Brentford – prime among them. Neither, however, can rival the New River for engineering excellence. 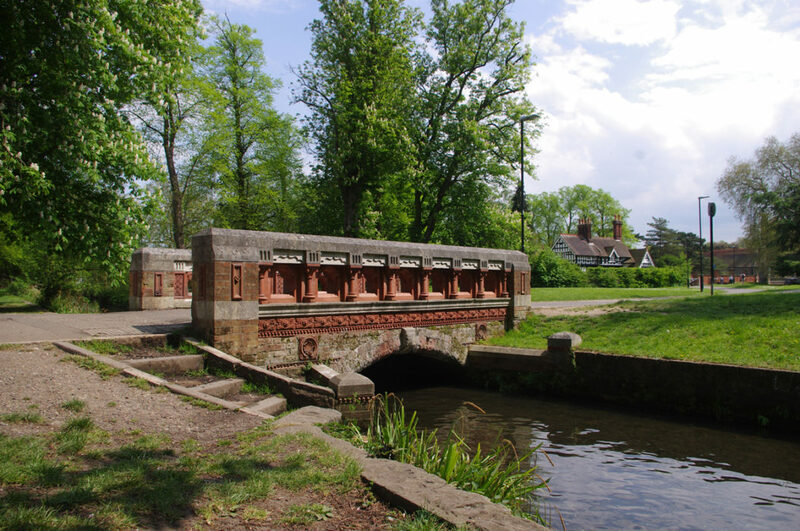 It’s an astonishing tribute to the surveying and construction skills of the 1600s, and was built to bring water to Shakespeare’s London from the chalk springs by the Lea near Hertford. After 400 years, the New River still works – eight per cent of London’s drinking water flows down it, albeit now to Stoke Newington rather than the original Clerkenwell. Indeed the stretches north of the original terminus, New River Head, are so redolent of the original river that it would be a crime to omit them while walking the river’s course – if you don’t fancy the 64km (40 miles) to Hertford, the first 10km (6 miles) to Finsbury Park are both fascinating and varied. 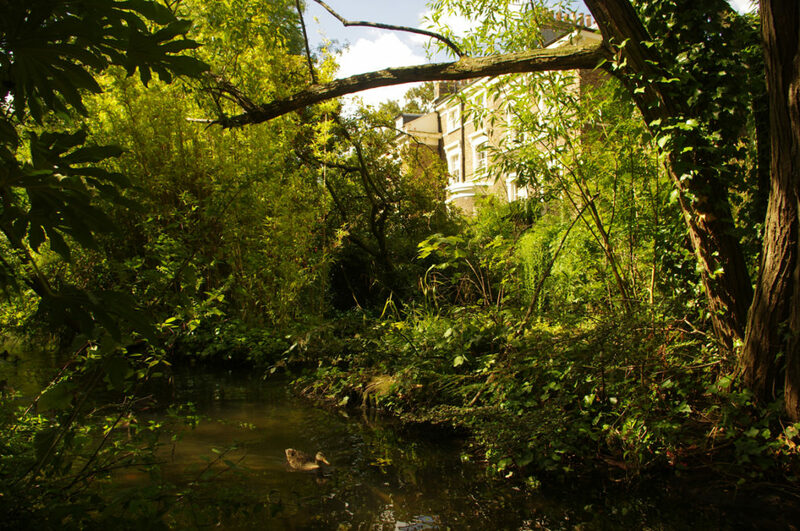 First gawp at the Georgian terraces of Islington, then enjoy the restored waterway section in Canonbury that recreates the Jacobean river-structure. 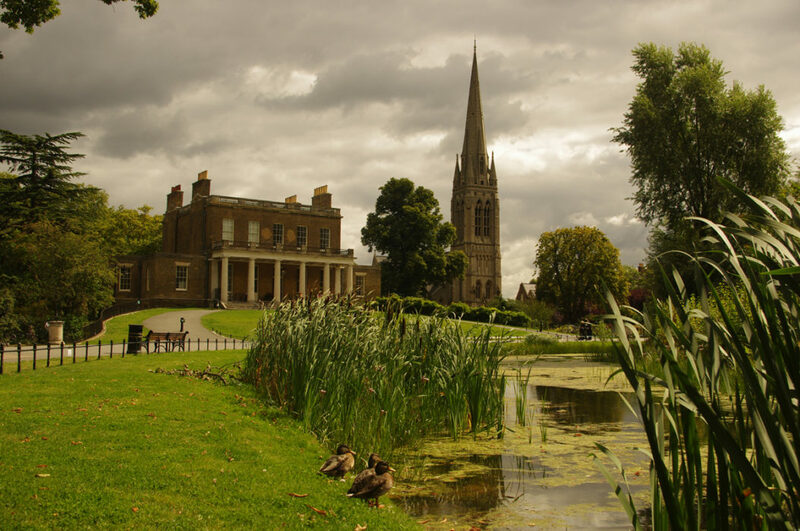 Best of all, look forward to the handsome Clissold Park, nearly lost in the 1880s when the Ecclesiastical Commissioners attempted to flog the house and grounds of the recently deceased vicar, Augustus Clissold, for development. The tale of how London’s open spaces came to survive is a whole other story on its own – suffice it to say that if generations of Londoners had not been ready to exercise the right to protest, there wouldn’t be much left. From the park you can make out an extravagant Victorian folly. You’ll soon be there. It was built in the 1850s as a pumping station, and now it’s the Castle indoor climbing centre, so bring out your climbing shoes and maybe enjoy a 120ft E7 straight up the chimney, if that’s your thing. But do not, on any account, miss the two reservoirs next door. 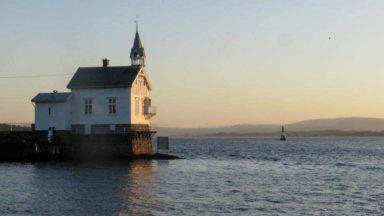 The west reservoir houses yacht and canoe training, and has retained the 1930s filter house as a café, with the original hydraulic machinery and monitoring dials faithfully maintained. Tremendous: but not a patch on the east reservoir, now the final point to which New River water flows before being piped down to the Lea for treatment and storage. In the 1950s, the reservoirs were deliberately poisoned and voided of all life. More enlightened management slowly coaxed nature’s return, and in 2015 the east reservoir was transformed into the Woodberry Wetlands nature reserve by the London Wildlife Trust. It was a precursor project to the Walthamstow Wetlands, with which this survey of London’s walkable rivers began: although smaller than its neighbour it’s probably even more biodiverse, with grassland and meadow, orchard and hedgerow as well as reed-fringed ponds and dykes. In this blog I’ve only looked at London’s river paths. There’s much more to London walking than that. Indeed I’d wager that, despite the occasional nightmares of poor traffic planning, there is no great city on earth that caters better for the walker, both serious and casual. 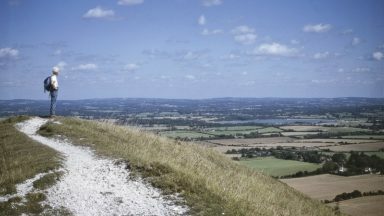 I’m proud to chair the London Long Distance Walkers Association: and though we like to explore London’s hinterland, we find no difficulty in dreaming up exhilarating 32km (20 mile) routes (or shorter ones for the evenings) within the city’s confines. So whether you are sceptical Londoner or surprised visitor, it’s worth looking afresh at what the capital has to offer.